The international criminal legal system will not bring justice to Tamils. Other avenues for enforcing human-rights decisions should be explored. On August 29, 2017, the Associated Press reported that Jagath Jayasuriya—former Sri Lankan general, and ambassador to Brazil and five other Latin American countries—had left Brazil for Sri Lanka. The ambassador’s departure occurred the day after human rights groups filed war crimes suits against him in all six countries. This is a clear moral victory for those who pursue war criminals under international law. Mr. Sirisena’s statement rings true, because the international legal system sees Sri Lanka as a sovereign state. Even if individuals responsible for war crimes, crimes against humanity, or genocide against Tamils were to genuinely face prosecution, no juridical mechanism could force these individuals to justice. The authors believe that the Tamil movement should not abandon the international system entirely, but should direct its efforts into more fruitful avenues. National sovereignty limits the international criminal legal system’s usefulness, in at least three ways. The Jayasuriya episode highlights how international criminal law is, intrinsically, intended to provide more spectacle than substance. Al-Jazeera and others note that Jayasuriya held diplomatic immunity in all six countries where charges were laid. His departure for Sri Lanka was therefore not prompted by fear that he would face legal action—but rather, from the intention to simulate that fear for international observers. This was perhaps an astute move from the public relations point of view, but it was ultimately unnecessary. The international criminal system contains three mechanisms for dealing with international criminal charges: a) the doctrine of universal jurisdiction (which justified the charges laid against Jayasuriya in Latin American countries for crimes committed in Sri Lanka); b) the International Criminal Court (or ICC, established under the 2002 Rome Statute); and c) international criminal tribunals (like those established for Rwanda and the former Yugoslavia). None of these channels presently indicates that severe consequences await Sri Lankan offenders. “Universal jurisdiction” is a precept of customary (or unwritten) law, stating that some crimes are so heinous, they transcend national boundaries. The concept goes back at least to the Roman principles of jus cogens (peremptory norms) and jus gentium (law of nations), both of which are still used today to show that there are moral systems common to all humanity—such as proscribing genocide, the targeting of civilians, and so on. Thus, says the doctrine of universal jurisdiction, any national court on earth may permissibly prosecute those who are reasonably suspected of committing such crimes. The loophole in this doctrine is that, to enforce such charges, the accused individual both must not benefit from diplomatic immunity, and must be present on the sovereign soil of the state which lays the charges. Otherwise, sentencing would take place in the absence of the accused. In this case, the accused may simply choose to avoid traveling to the countries where he or she faces charges (or has been sentenced in absentia). Sri Lanka, however, has not signed the Rome Statute. Therefore, in a basic reading of the Statute, the ICC does not have jurisdiction over crimes committed on Sri Lankan territory. This means that if Sri Lanka intends to protect any of its nationals who would potentially face ICC charges, it may continue to exercise its sovereign right to abstain from participating in the Court. President Sirisena’s statement is evidence of such an intent; so, we should not expect Sri Lanka to become party to the Rome Statute anytime soon. Article 13 of the Rome Statute provides three means for bringing charges to the ICC. First, a state who has signed this treaty would refer a potential crime, listed under Article 5, to the Court. Second, the United Nations might refer such a potential violation to the ICC under Chapter VII of the UN Charter. Third, the ICC Prosecutor may initiate an investigation proprio motu (under his or her own initiative). Some experts might interpret these legal mechanisms as overriding national sovereignty, under the doctrine of universal jurisdiction. The first and third of these situations (Rome Statute Articles 13[a] and [c]) are mechanisms internal to the ICC. They could be applied to Sri Lanka, if the ICC were to invoke the principle of universal jurisdiction. 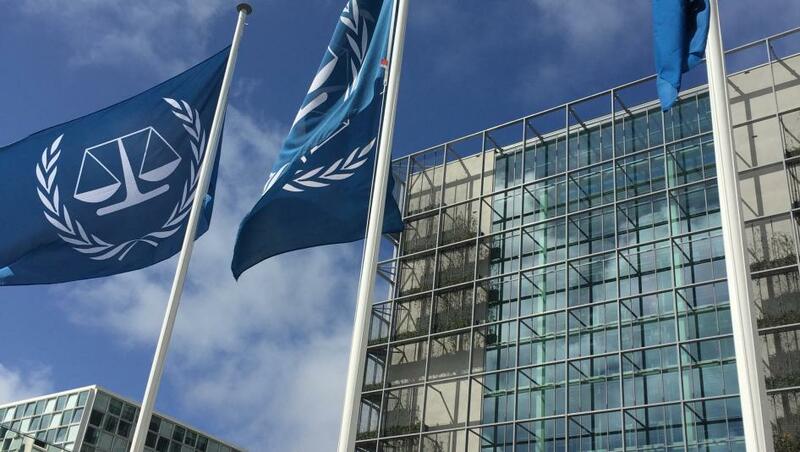 Since the ICC does not presently claim to wield universal jurisdiction, it is simply a treaty-based body and can only bring charges against nationals of states who ratify the treaty. Both of these options are dead ends. The second situation (Rome Statute Article 13[b]) does provide a clear avenue for international criminal charges—hypothetically. Where a Sri Lankan national is reasonably suspected to have committed war crimes, crimes against humanity, or genocide, the United Nations Security Council could refer the case to the ICC for breaches of the peace, under Article VII of the UN Charter. This would be an exercise of the principle of universal jurisdiction (which, as we explain below, the UN does claim the right to use). But in practice, Article 27(3) of the UN Charter limits that possibility. For the Security Council to take any action, nine out of fifteen members of the Security Council (including all five permanent members) must approve the decision. The USA is a permanent member of the Security Council. It has a troubled relationship with the international criminal legal system. Like Sri Lanka, it refuses to become party to the ICC (although the USA has formally signed the Rome Statute, it has not ratified the treaty). Former American presidents, such as George W. Bush, routinely avoid visits to certain countries where universal jurisdiction has placed them under the threat of war crimes charges. Similarly, China is a permanent member of the Security Council, and has not signed the Rome Statute. China was both a strong supporter of the Rajapakse administration (which governed Sri Lanka during the conflict), and it remains an ally of Sri Lanka in most circumstances. Russia, also a permanent member of the Security Council, withdrew its signature from the Rome Statute after Russian nationals faced the possibility of charges following its annexation of Crimea, in 2016. Each of these members of the UN Security Council may not have an interest in promoting the ICC’s legitimacy, and could exercise their veto in any such vote. The vote itself is not likely to take place. Using some variants of the doctrine of universal jurisdiction, the UN has established international criminal tribunals in the past. Both the International Criminal Tribunal for Rwanda and the International Criminal Tribunal for the Former Yugoslavia have operated for more than 20 years, systematically prosecuting individuals responsible for war crimes, crimes against humanity, and genocide. These situations parallel Sri Lanka’s, because both tribunals address crimes committed during a non-international armed conflict. However, where Rwanda and Yugoslavia lost their unified central states over the course of their respective conflicts, Sri Lanka did not. Against calls for it to establish any such tribunal, this state vigorously invokes its sovereignty. Building on the foundation of these previous models, the UN Human Rights Council resolved (in its October 2015 and March 2017 sessions) that a hybrid tribunal—a court composed of both Sri Lankan and international judges—should be established to prosecute crimes committed during the armed conflict in Sri Lanka. Such a court could allow prosecutions to proceed more transparently than a national court might permit. Sri Lanka has secured a two-year extension to comply with this directive, which will expire in 2019. Statements from the government of Sri Lanka do not indicate its intention to comply, however. If 2019 comes and goes without this hybrid tribunal becoming a reality, it is also the case that violating the Human Rights Council’s resolutions does not carry any sanction (beyond the moral sanction of being “named and shamed”). This follows from the principle of state sovereignty. It appears that international criminal tribunals apply most effectively in the case of failed states. Sri Lanka has, unfortunately, emerged with greater legitimacy than it had while the conflict was ongoing. We return to our initial point: an element of theatrics predominates in the international criminal legal system. This is particularly true with respect to Sri Lanka, which resides outside the jurisdiction of the ICC, and refuses to implement the hybrid tribunal that the Human Rights Council has directed it to establish—without fear of consequences. However, leaving the legal considerations aside, the field of international criminal law can only prosecute particular individuals for the particular acts of war crimes, crimes against humanity, and genocide. In contrast, the oppression of Tamils in Sri Lanka is systemic: it is rooted in the social construct of ethnic hierarchy; it is legally entrenched in the Sri Lankan constitutional structure; it grows from the history of successive failed Tamil strategies for freedom (at the very least, since the end of British rule); it lives on in an ongoing campaign to appropriate Tamil lands, in service to the institutions of the Sinhalese national-development project and the Sri Lankan military. Imprisoning this or that individual—though it would be just—cannot alter the deeply-rooted systems which guided those individuals to become war criminals and genocidaires. A series of criminal prosecutions might bring some measure of healing to those who have lost loved ones through violations of international criminal law. It would not address the economic and political bases of the Tamil nation’s present condition. While Sri Lankan state functionaries may feign fear and respect for international law, the international criminal legal system does not presently provide established, institutional means to bring more permanent forms of justice and empowerment to Tamils. The authors hold great personal respect for those of our colleagues who have begun to use international criminal law to achieve justice for Tamils. We recognize that their work may protect future generations of potential victims—by contributing to efforts that will make the international criminal legal system more effective in the long term. We feel that this noble strategy requires a complement: one that will develop through the study of other mechanisms, such as international trade flows and strategic diplomacy, which act to influence state behaviour more effectively. We note, for example, that the European Union’s “Generalized System of Preferences–Plus” (EU GSP+) trade scheme relies on human rights reports, including those that the Human Rights Council produces, to assess countries’ compliance with its conditions for preferential trade treatment. Sri Lanka is a beneficiary of the scheme, and the EU conducts GSP+ compliance reviews every two years. At its 2016 session, the EU voted to lift sanctions that had been in place against Sri Lanka. Tamil activists’ strategy of lobbying the Human Rights Council could be more fruitful if it were combined with consistent lobbying for EU trade sanctions. This would be particularly important if Sri Lanka fails to establish a hybrid court in 2019: the following GSP+ compliance review would take place in 2020. Similarly, the UN Conference on Trade and Development (UNCTAD) has investigated the concept of a “New Generation of Investment Agreements” which would make investor-state dispute settlement (ISDS) more responsive to policy matters. This initiative seeks to centre sustainable-development values within investment policy. (For instance, poorer states now often wish to retain the right to protect their environmental or labour regulations from challenge in investment courts.) Human-rights activists could lobby investor states to include mandatory human-rights compliance clauses within investment agreements that they sign with Sri Lanka (and other such states). This would make investment flows conditional on human-rights compliance, just as GSP+ links respect for human rights with trade preferences. Sri Lanka has a total of 29 bilateral investment treaties signed or in force. Modern states are highly interdependent, and rely on regional trade agreements to increase their economic power. As the USA under President Trump retreats from its global leadership role, China has called on BRICS countries (Brazil, India, China, and South Africa) to take on a more proactive role in global governance. Similarly, the ASEAN group of South-East Asian countries holds regular conferences on regional trade and investment. These economic roundtables could provide an avenue to raise concerns over human rights with Sri Lanka’s neighbours and trading partners. Such tactics rely on withholding wealth or allowing it to flow, based on ongoing human-rights compliance. This form of power has more legitimacy among sovereign states (such as Sri Lanka) than international criminal prosecutions do. Such a strategy would give renewed relevance to decisions made in forums such as the Human Rights Council, by providing an effective link to concrete sanctioning mechanisms. The authors believe that these avenues, and others like them, deserve further study. We welcome the support and collaboration of any who agree. Well said. What we are experiencing in Myanmar today is an another example of the impotent of the international justice system. We agree, Sundaram. Tamils in Sri Lanka and Rohingya in Myanmar share many difficulties in common. This is also, particularly, true of Tamil-speaking Muslims in Sri Lanka. Tamils’ efforts have much to learn from yours, and we extend our moral support during this difficult time. If there are any practical ways that we can show our support, please feel free to let us know. Although Tamils have yet achieved justice, it should be recognised that some positive changes have taken place in Sri Lanka as a result of the UNHRC resolution. You’re right, Sangaran. Moral sanctions do achieve some effects, and this is shown by the way that the government of Sri Lanka has adapted its public image to accommodate human rights observers (like the UNHRC Rapporteur). Whatever comes next, we want progress like this to continue. We’re not satisfied, though, that changes to a state’s public image are sufficient. We wrote this piece to begin a dialogue on better ways to move forward, and we welcome you to be part of that conversation. Authors should not underestimatr the difficulties and disturbances caused as a result of such cases against criminals in foreign countries. It has also attracted much international media coverage tarnishing sri lanka’s reputation. This is a form of nonviolence resistance against oppression and human rights violations. This kind of resistance should always continue. You’re absolutely right, Ramanathan. We do not want these efforts to stop. Reform to the international criminal legal system is necessary, and it will only happen when its potential has been used fully. This is an opportunity to assess that system’s limits, and how they can be overcome. This article contradicts itself with argument. It says it is impossible for UN/ICC impossible to proceed war criminal prosecution against Srilanka because of its support from powerful countries such as Russia, China. On the other end it says international trade sanction is possible within the same conditions. It simply talks from the law point of view and what has happened in the past. But does not consider geopolitics, time periods, non-state actors role and strategies (future). Rwanda and Yugoslavia were sovereign countries before the international intervention (international criminal tribunal was established and subsequently they lost their unified structure of the state as part of that intervention. Srilanka is currently facing an international involvement. This is in our hands as to how to change this involvement as an intervention. To do so, we have to keep on beating the war crimes and genocide drums in the international arena in all possible means. The case filed against Jegath jeyasuriya is one of such activities. This article demotivates the Diaspora Tamils and undermine their spirit. We understand your points and we certainly do not intend to demotivate the Tamil spirit to fight for justice. However we are working towards a goal, and here in particular mentioned “referral to ICC through UN” which is an exercise destined to fail. We encourage activists to think outside of the box and explore feasible strategies to economically empower the Tamil homeland, only economic power brings also lasting peace and justice. Trade related activities fall under different conditions than approaching ICC/UN which is a purely political forum. International trade law, however, would indeed shape geopolitical interests and can set the time right for our common goals as Tamil people. But there are other forums within the international human rights sphere, such as Treaty Bodies reviews and UPR reviews where it is absolutely important to lobby in order to achieve empowerment for Tamil people.